Home » Nutrition » Dogs » Homemade Recipes » Learn How to Cook Your Own Dog Food! Learn How to Cook Your Own Dog Food! 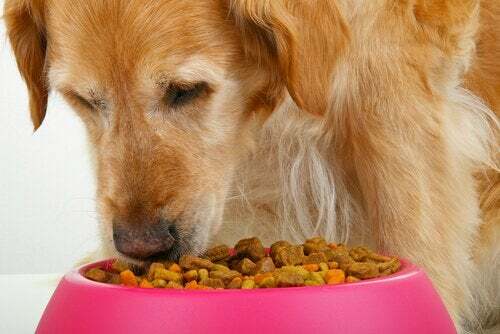 Although it is always recommended to feed dry dog food to your canine. 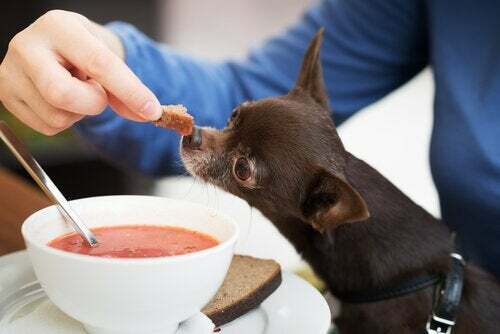 It’s not bad to cook for your dog, as long as you provide all necessary nutrients. However, there are several things you should know before trying it out. 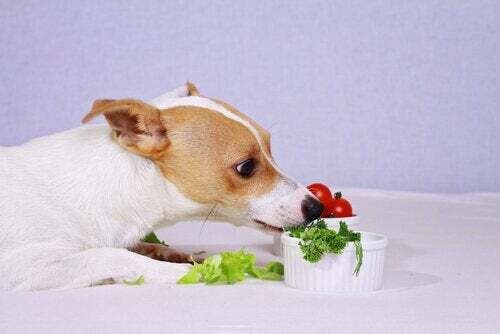 So let’s see what´s necessary for an adult dog´s diet and what kinds of food you can give it. Of course, we’ll also provide some delicious easy to cook recipes your little friend will love. 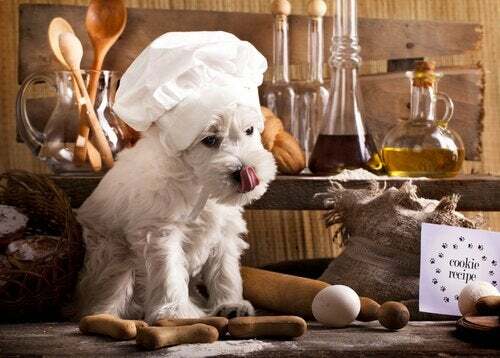 What do you need in order to cook for your dog? 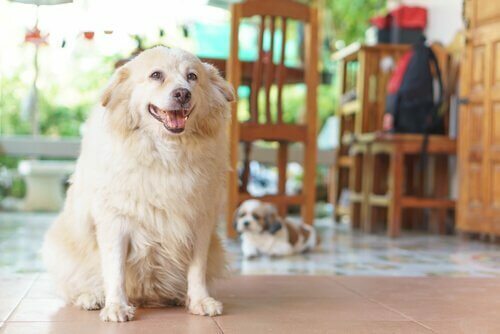 For a medium-sized adult dog, you will need to include certain nutrients such as protein, vitamins and a low percentage of fats in their diet. If you decide to cook for your dog, you will have to buy low-fat meats. Additionally, you should never give raw meats to your dog. 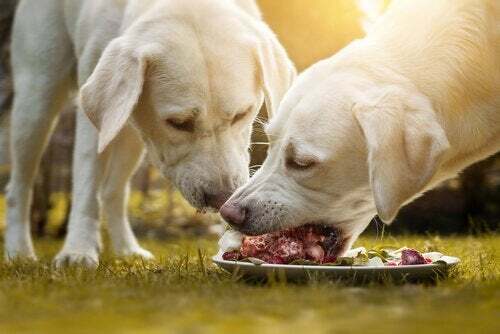 Chicken or turkey meat are the best option to give your dog. Be sure to remove the skin because it has a lot of unhealthy lipids and hormones. 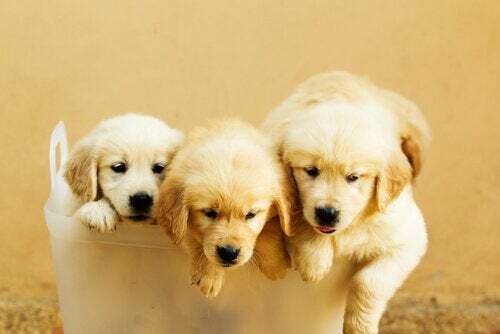 Dogs won´t despise eating the heart. 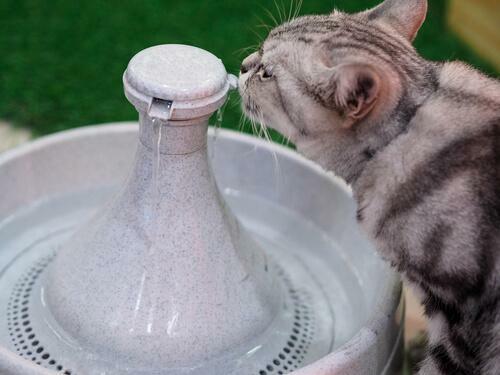 It will cost you very little money and it is very healthy for your pet. What’s more, he will love it. 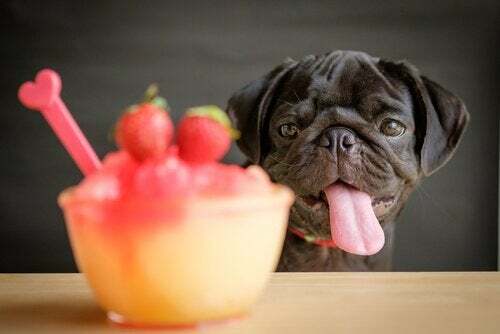 Would you like to know some recipes that you can make for your pet? For this recipe, pour water in a pot in order to cook the rice. Once cooked, turn off the heat and let it cool. Then in a large bowl, mix all the vegetables: potatoes, carrots and celery along with the eggs and meat. Mix with a spoon or with your hand. Then add oil, rice and oat flakes. Stir well and place everything in a muffin top pan. If you don’t have molds, you can give the mixture the shape you want by using your hands or 2 spoons. Once your done, place them on an oven tray, then put the tray in a preheated 200 degree oven. Bake for 45 minutes. Take it out and let it cool. You might even be tempted to eat them! Crush the tuna with a fork and add finely diced celery and carrots. Then add the beaten egg and use hot water to get a uniform mixture. Place the mixture in some molds and bake for around 10 minutes at 200 degrees. Your dog will love these snacks! Although macaroni – – being a great source of hydrates – – is not something your dog can eat too often. He will appreciate it when you cook them from time to time. Cook the macaroni in a pot with water. 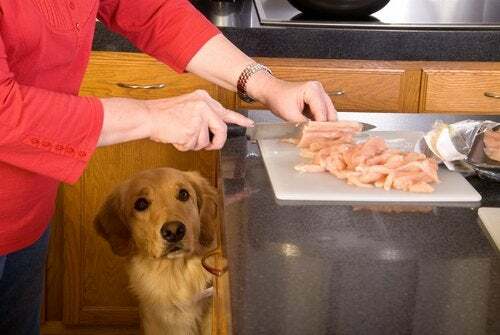 While they are cooking, put a chicken breast in the pan with a little oil and no salt (remember this is harmful to your pet). Brown the chicken breast well and let it cool a little bit once its cooked. Then cut it into small easy to chew pieces. Drain the macaroni, rinse with cold water and mix with the chicken. This is a simple, complete meal your dog can absolutely enjoy. As you can see, cooking for your dog is not difficult. All of these recipes and others you may know are to give your pet a treat while providing all the nutrients it needs. 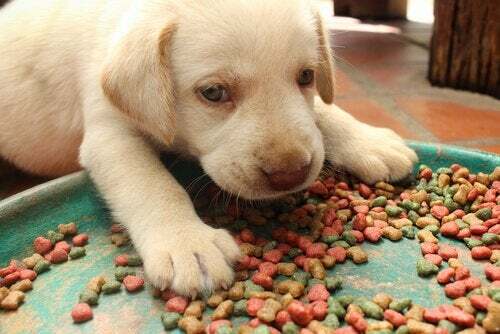 Remember, it is better to feed your canine the dry dog food recommended by his veterinarian. Do you know any other recipes you wish to share?